If I had to pick only one shampoo to use for the rest of my life, it would be this. This is the shampoo that I go back to time and time again, the one that I’ve repurchased at least five times since first discovering it, and the one that never lets my hair down. It cleans my hair thoroughly without leaving it feeling stripped or dry, and it has a lovely fresh scent that lingers on the hair for quite a while after rinsing. I wash my hair every day and this is gentle enough shampoo to use that often and it always leaves my hair feeling soft and silky. If you’re worried about the price point trust me, I feel you; but a little bit of this product goes a long way so I wouldn’t be too concerned about getting your money’s worth. I use the number 1 version of this shampoo (for normal to slightly sensitised hair), and it is also available in number 2 for dry and sensitised hair. 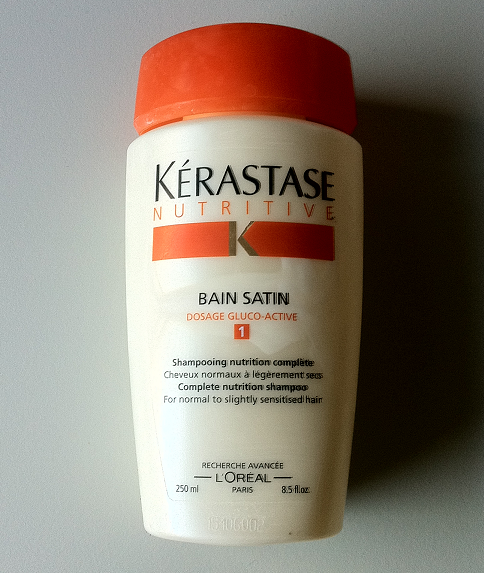 The Kerastase Bain Satin Shampoo retails for $39 and is available for purchase from StrawberryNet. 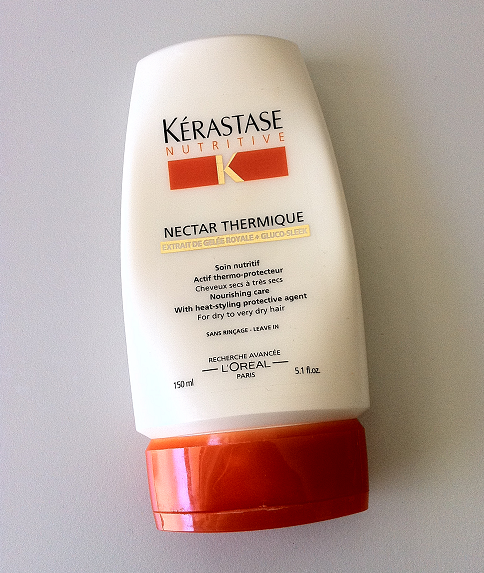 If you’ve ever asked me to recommend a hair product for you to try, it’s more than likely I suggested Kerastase’s Nectar Thermique. This is hands down one of the best hair products I’ve ever tried. It’s designed to be a leave-in conditioning heat-protectant for your hair, and I use it every day before running the blow dryer over my hair (which is usually when it’s around 80% dry already). 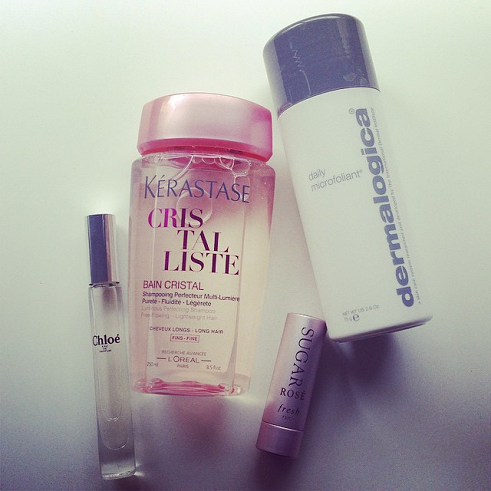 It really helps to keep frizziness at bay and my hair looks a million times softer and silkier when I use this product. 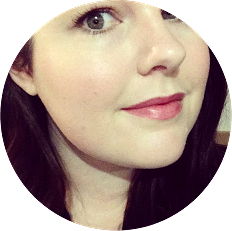 I didn’t take this product away with me when I traveled late last year, and I noticed such a huge difference in the quality of my hair that I purchased a tube to use while I was away. The Kerastase Nectar Thermique is currently available for $43 at Strawberrynet. Buy it. 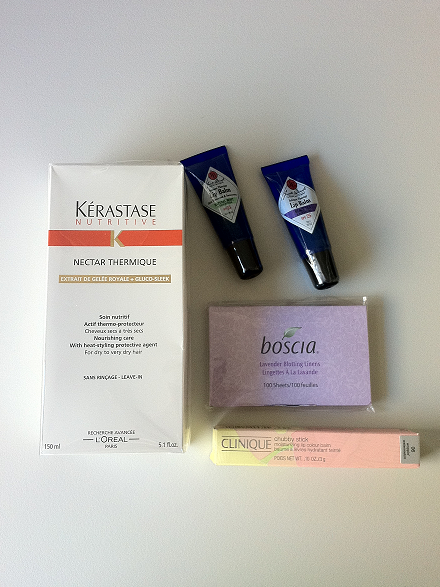 I hadn’t planned to buy any more products this season, but after I used up my last sample sachet of the Kerastase nectar thermique I felt the urge to buy myself a full bottle of the product because I loved it so much. So I did. 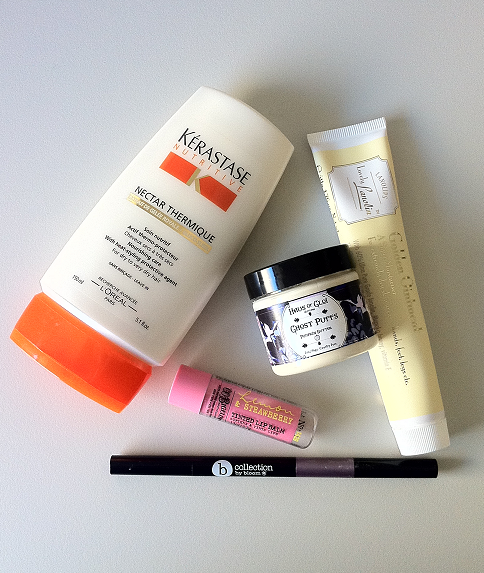 I also ordered another packet of the Boscia blotting linens (I ran out of a packet this month), another Clinique chubby stick (this time in the shade Woppin’ Watermelon) and two of the Jack Black lip balms.